Play Free Bet Blackjack - The Blackjack Variation with Free Splits and Doubles! Free Bet Blackjack is a fast growing Blackjack variation where your splits and doubles are on the house. There are new tables opened seemingly every month in Vegas and other live casinos. I am hoping to see free bet blackjack making the jump online in the near future. The house still needs an edge, which is regained from a 'push on dealer 22' rule. The main thing to keep in mind with this game is that a win is equal to a push when you are playing with the casino's chips (the free splits). This will change your optimal blackjack strategy for those hands. This guide to free bet blackjack starts with a look at the rules of the game, before detailing how the house edge changes due to the new rules. Next, some basic strategy of free bet blackjack is discussed, before finishing with a look at the advantages and disadvantages of the game. Many of the rules of this game are exactly the same as you would find in a standard blackjack game, including doubling down, splitting and re-splitting. Game specific rules show that this version is usually played with 6 decks and dealers will hit on a soft 17. There is no surrender rule in place and blackjack pays the usual 3/2. 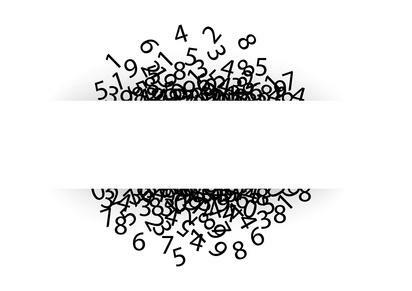 The player is allowed a ‘free double’ if the two cards have a total of 9, 10 or 11. Here the casino adds a free bet chip. The hand is now played out as usual and if the player wins, then they will be paid out double the initial bet size, with the free bet part of the stake returning to the casino. Losing the hand will see the loss of just the initial bet (in a standard game this bet size would have doubled) and a push will see the player get back their original wager only. Players can still double on other totals, but these will not be ‘free’. Players are allowed a ‘free split’ on all pairs apart from 10’s. When splitting, the original wager is placed behind one of the hands, while a free bet button is placed behind the other. Players can still double or split on these ‘free split’ hands and you could see a situation where there are eight hands in play (many with multiple free bets). All winning hands will be paid out at the initial stake (meaning eight winning hands will pay out 8x the initial bet), but the total risk is just the initial bet. After these two rules which are great for the player, the third and final rule is in favor of the house. If the dealer hits a total of 22, whereas this would usually bust in a standard game, all hands would be considered a push. The only exception to this is if a player hits blackjack, which would then see the player win, but only at odds of even money. This is known as the ‘Push 22’ rule, which is also in place in other games such as ‘Blackjack Switch’. If you were to play Free Bet Blackjack at a casino with no ‘Push 22’ rule, the player would have a massive advantage. It has been calculated that the player would make an average of a 6% profit in the long run. Unfortunately, this is not the case in reality – casinos are not in the business of making it that easy. The ‘push 22’ claws that edge back, giving in the region of 7% back to the house, meaning that the casino has an edge of close to 1% (the exact edge can vary due to slight rule variations such as the number of decks in play). As in standard blackjack, any games which pay at odds of 6/5 for blackjack should be avoided where possible. 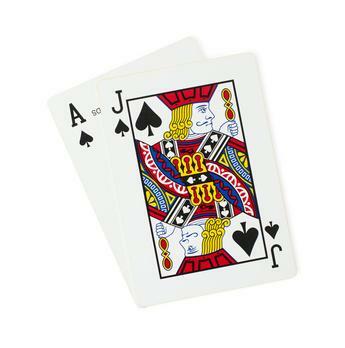 There are times when playing standard blackjack, where doubling down on a total of 9, 10 or 11 isn’t advisable – a good example being if you have a total of 10 and the dealer has an Ace. In free bet blackjack, you should ALWAYS split or double (if free) given the opportunity, even if it doesn’t feel like the right move. There are some other strategy variations you should be using too in comparison to standard blackjack. You should be more inclined to hit after a split than if you had placed the extra chip yourself. Since a push and a win are of equal value to the player when the free bet button is in play - you can up your risk somewhat for these hands. Resplitting to the maximum allowed will always be the best play. The biggest advantage of playing free bet blackjack is the fact that you’ll generally know that your initial stake is the most you’ll risk playing the entire hand. If you have 10 bets for example, you’ll be pretty certain that you’ll be playing 10 hands – whereas in a standard game, you could lose a series of bets at just one hand. The rules of this game are close enough to standard blackjack to make it very easy to pick up too. The downside of this game is the slightly different strategy you’ll need to use. Many players have perfected their blackjack strategy, but this game requires a slightly different approach. If you are playing ‘free bet blackjack’ all the time it’s not really a problem, but if switching between the two games, things could become confusing. US Blackjack Fans: Not only will you find a ton of blackjack variations at the Bovada casino, you'll find a unique game called Zappit Blackjack, which allows you to 'zap' cards totalling 14 to 16. Bovada also offer welcome bonuses tailored to table game players - and have a respected loyalty scheme with plenty of extra promotions. This is an easy top pick for the US - see www.bovada.lv for more. Worldwide Blackjack Fans: Why restict yourself to just a few blackjack variations from one software brand, when you can enjoy a huge list of variations? Check out the list at Unibet Casino - you can select from the best games of all the major software houses (PlayTech, NetEnt and more...). See www.unibet.com for more!